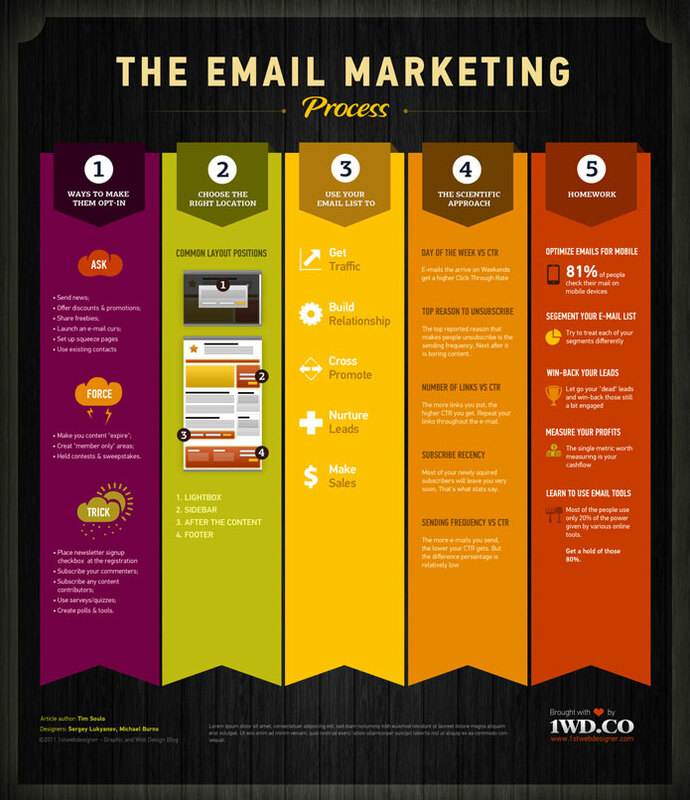 According to this awesome infographic, designed by the folks at 1stwebdesigner.com, there are 5 basic steps to successful email marketing. If you want to learn more, don’t miss this post. You will find tons of great tips on how to do email marketing the right way.